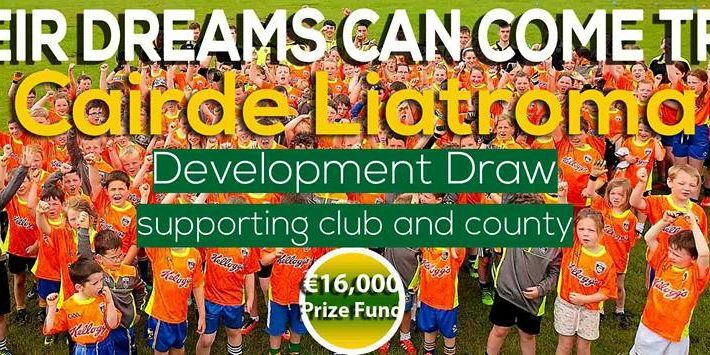 Cairde Liatroma is a Development Draw organised to support Leitrim GAA and is similar to fund-raising ventures in many other counties. Supporters of Cairde Liatroma are asked to make a monthly contribution of €10 by way of bank standing order, or a yearly contribution of €100. There are monthly draws for individuals and club prizes also. 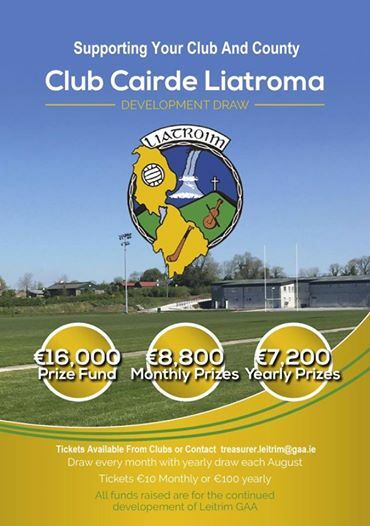 There will also be yearly draws with 5 club prizes of €1,000 and individual prizes of €1,100. 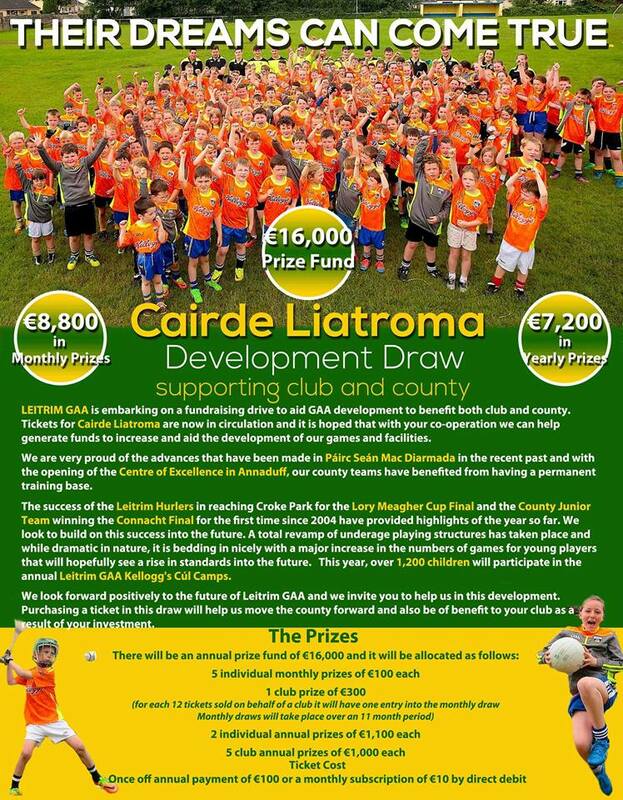 If you or someone you know who wants to support Cairde Liatroma to contact Leitrim GAA officers or your own club officers and don’t forget to nominate your designated Club.